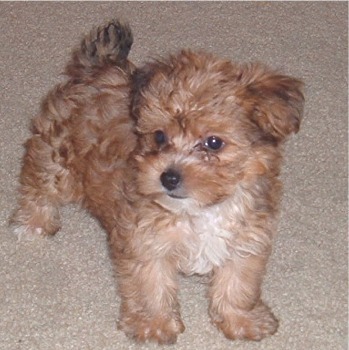 The Yorkiepoo was developed by crossing a Yorkshire Terrier and a Poodle (most often, a miniature or toy poodle). 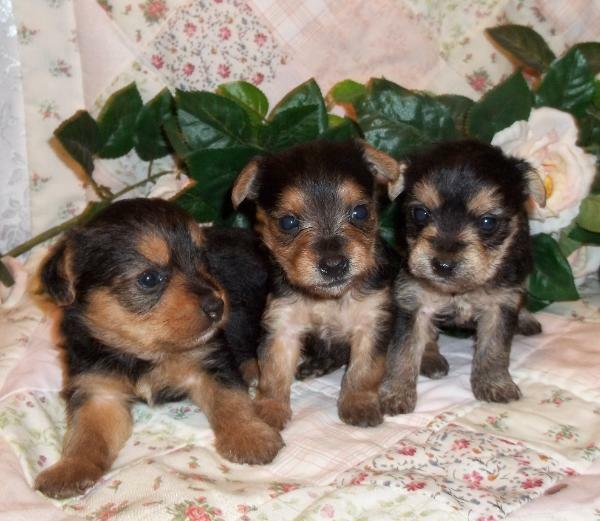 A remarkable characteristic of this dog is that, none of the two specimens look alike, not even the litter-mates. Their looks and temperament widely depend on which of the genes from its parents are ruling within. 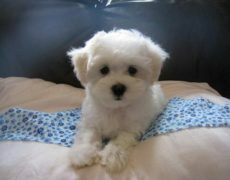 These dogs are covered with soft, silky coat and have a round face studded with two button eyes and a small black muzzle. Their floppy ears also add to the beauty and ‘cuteness’ of their face. 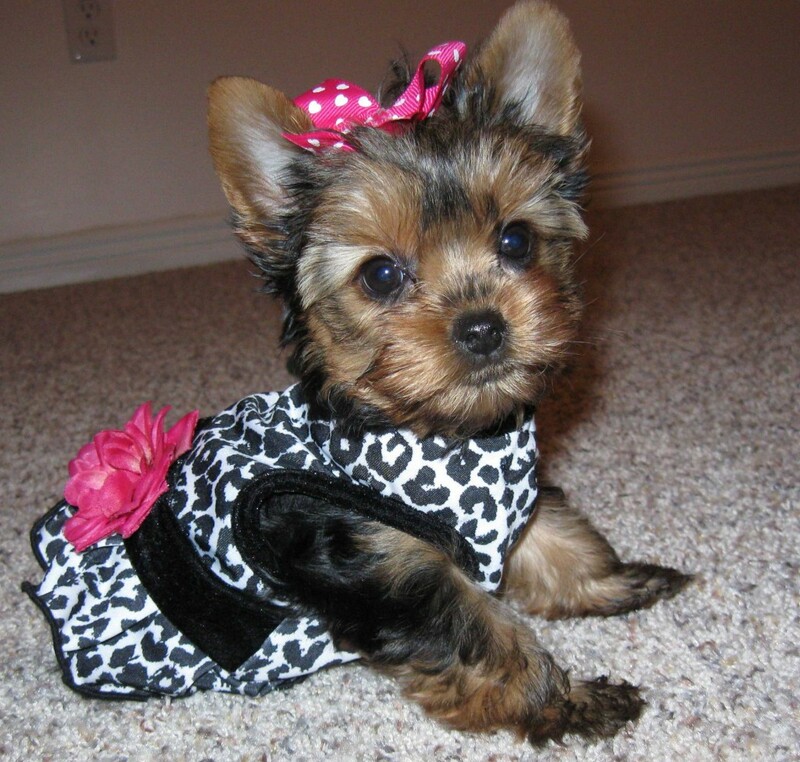 These designer dogs make great companions as well. 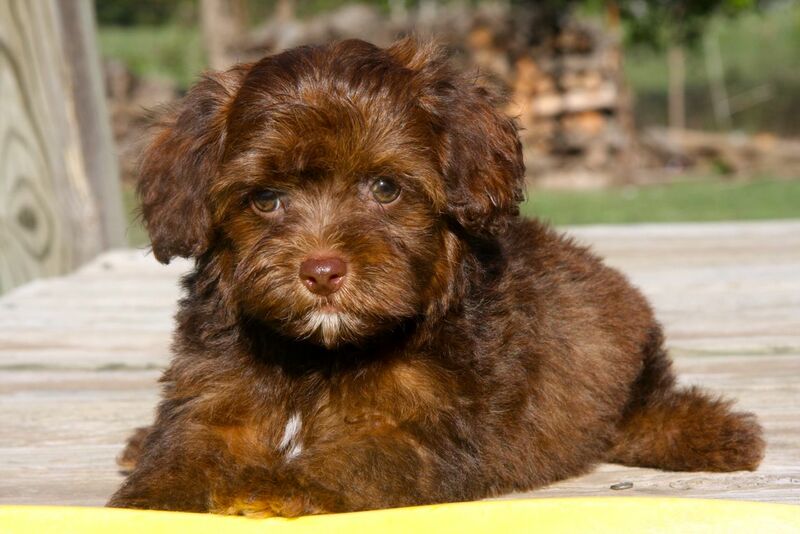 Yorkiepoo love humans and their company. This little dog is much willing to approach people and be held by them. They are highly energetic and are in motion most of the times. They are good with children, specially grown up kids. Toddlers might not be safe with them because of their highly active nature. They love taking part in family activities and make a great family pet and apartment dog. They can adapt themselves to almost any situation or living. They are curious and would search for new things around. They are extremely sociable and are good to strangers too. 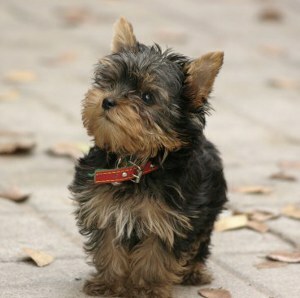 Yorkiepoos are frequent barkers, making them good watchdogs. They also tend to shout and are prone to destroy things especially when they are bored or are left alone for long periods of time. 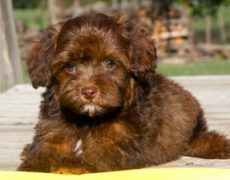 Being a very active breed, the Yorkipoo wouldn’t need much exercise, and this is one more reason for which they are gaining popularity. Just a little bit of brisk walk around your block every day should serve the purpose. 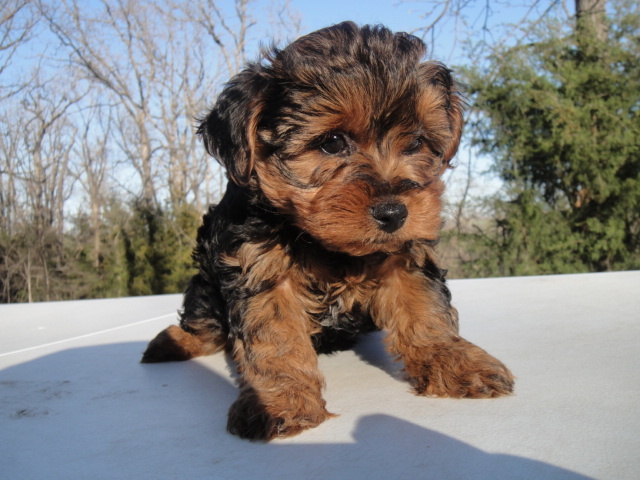 Also, allow your Yorkie-poo to play around with a ball or a toy in an enclosed yard, if you have one. The playful dog would be happy to play and exercise. The grooming needs depend on the type of coat your dog has. 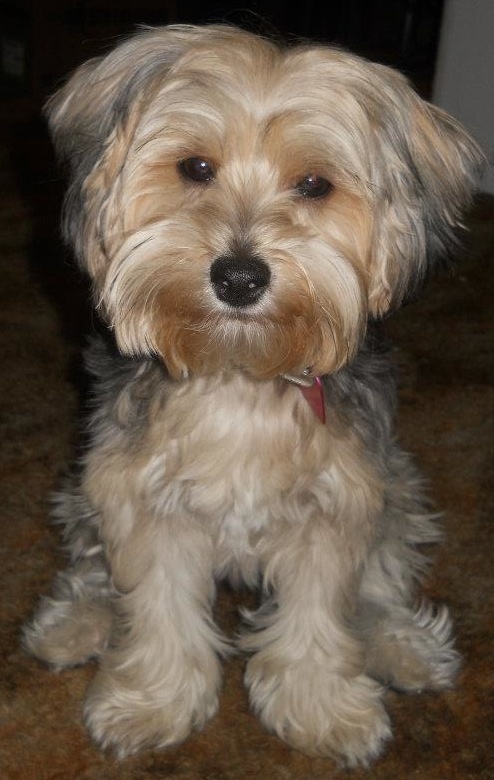 However, Yorkiepoos mostly need regular or even everyday brushing. Curlier the coat, more frequent should be the grooming; else its coat will get matted very easily. 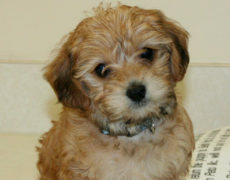 If its coat is too curly (like its poodle parent), trim the coat every one to two months. 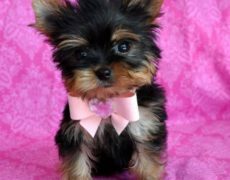 You can take your dog to a professional groomer if you are not an expert in grooming. Also, keep an eye on the ears for possible infection and the teeth clean to avoid tartar buildup. Clip the nails as and when required. 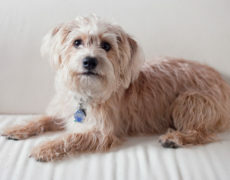 Yorkiepoo is a typically healthy hybrid. Being a very new breed of dogs, very little is known about any breed specific health issues, except being prone to periodontal diseases like most other small size dogs. Other possible general dog health issues can be dysplasia, epilepsy, hypoglycemia (particularly for puppies), musculoskeletal problems, and eye problems such as distichia and cataracts. Those that are underweight or less than 3 pounds might be prone to vomiting, tracheal collapse, diarrhea, anesthesia sensitivity, and frequent injuries. Teach your puppy to socialize while it is still very young. Mental stimulation and social interaction are important for your pup to keep them mentally and physically fit. Ask friends and relatives to visit your house often and get them acquainted with your little one. Your dog loves activities like tricks, dog agility, etc. Obedience training is important for these little barkers. Hence, train them in dog etiquette so that they would listen to your command to refrain from barking when you say ‘stop’. Also, set your own rules to resolve pack leader issues. You can also approach the puppy kindergarten classes. These dogs are picky eaters. 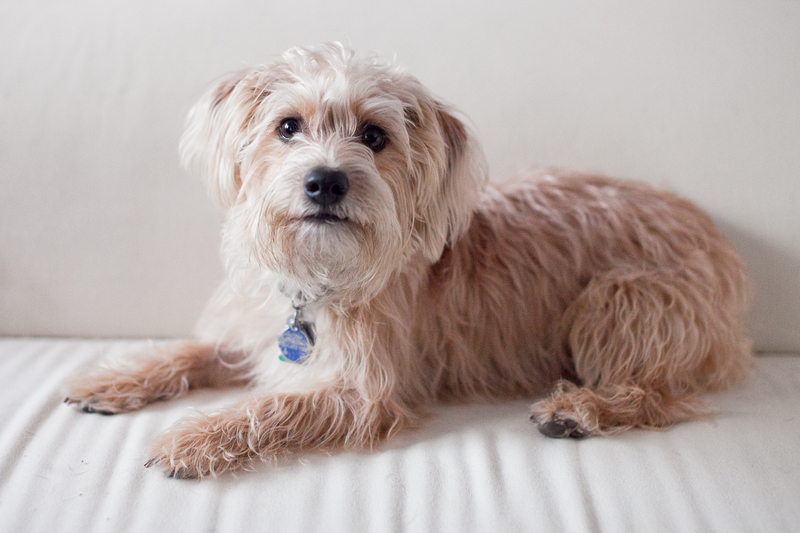 In order to lure your finicky Yorkiepoo to eat, you can mix and match tasty doggie foods and try to be creative and experimental about what your little one would love to eat. If you opt for dry kibbles, be sure you choose the type that is meant for the dogs of their size and energy level. In fact, dry food is better for this breed over raw or cooked foods because, with everyday wet food, these dogs have a great potential in developing bad breath, gum disease, and tooth loss. Yorkie-Poo puppies are very fragile and delicate. If the pup is squeezed hard or hugged too tightly, the puppy can die. A short fall or anyone tripping over it might cause grave injury or even death to the puppy. 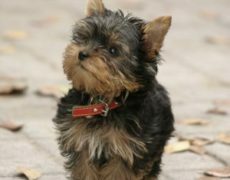 Since many breeders these days are breeding the Yorkshire Terrier with both the Miniature size Poodles and the Toy Poodles, it is creating a wide variation in the weight and size of the Yorkie-Poo. 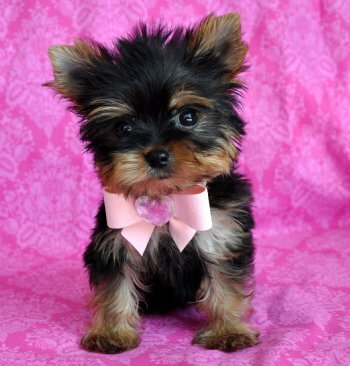 A Teacup Yorkie Poo is a cross specifically between a Yorkshire Terrier and a Toy Poodle. They retain almost their puppy size even when they are adults. I have a Yorkiepoo that is now 5 months amd he weighs 7.3 lb. When I got hom at 9 weeks he was 3 lbs. How big should he get? 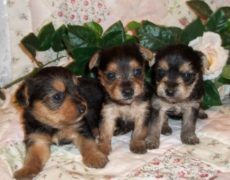 My yorkipoos will NOT go out in the rain either. And also will go in the house. What has helped me is taking them out one at a time (i have 2) and holding an umbrella over them! In a short time they go outside the range of the umbrella and don’t even seem to notice! 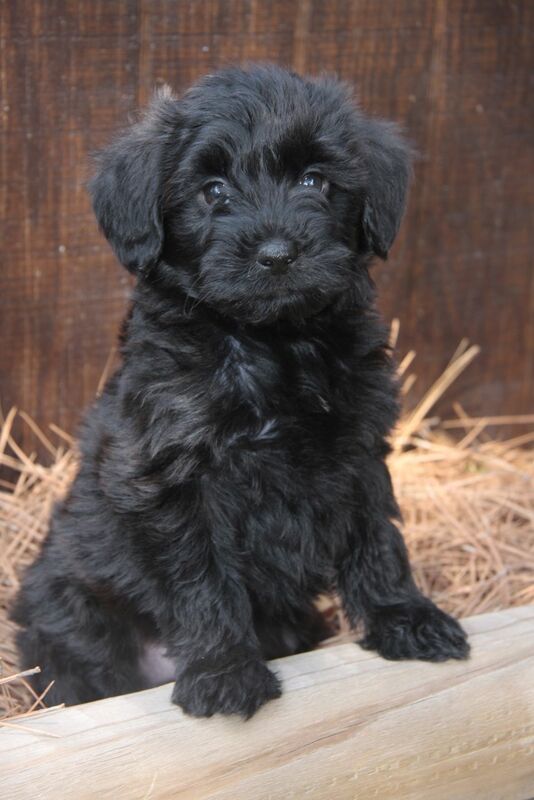 Hi I have a yorkiepoo he just turned 4. Since a baby it’s been hard for him to eat since he’s so picky. What food can I give him to eat? He doesn’t like dry or wet food. He would rather starve than eat his food. And my mother doesn’t make it any better that she gives him human food because he cries to her while she eats. What can I do to get him out of that habit of crying for human food and what dog food can I give him. Also potting training was very hard and still is very hard. How can I train him to just “go” in one place? 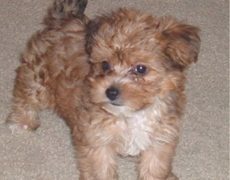 I have a yorkie-poo 1 1/2 years old. Winnie was 6 months old when she came home with us to join our mixed hound/beagle/lab (something), Daisy. 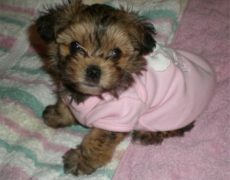 I had a 13 yr old Yorkie, Duke, that passed, and left our family -including Daisy- sad, depressed, and lonely. Duke was housebroken early on with occasional potty issues; however I am unable to trust Winnie to not do her business inside. She does go outside and is rewarded when doing so. How do I transition from having pee pads in the house to total outside habits? Also, the barking is getting out of hand, both inside and out. It is frequent, sharp, and very annoying to us, and I’m sure our neighbors. The dogs are buddies and play frequently, they have access to a large area within an underground fenced area, and we interact often. Help? Teach your Winnie to bark on command by practicing the “quiet” command. When your dog barks excessively, say the command in a calm voice. Even if she stops just for taking a breath, praise her and give her a treat, such as a piece of chicken or cheese. Eventually, she will associate stopping her barking with getting a treat. Alternatively, teach her to speak; once she is doing that reliably, instruct her to stop barking using the “quiet” command. 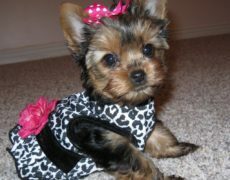 As far as her peeing habits are concerned, you may contact a professional dog behaviorist to get the issues resolved. 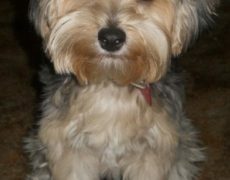 My 7 month Yorkie-Poo is exhibiting fear aggression, posturing/aggressive mouthing towards unfamiliar people/other dogs. We got him from a breeder and he has been shy since we brought him home. 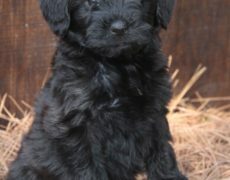 He has gone through puppy kindergarten for obedience and puppy agility for confidence. We now have an in home Behaviorist due to the issues we’re experiencing. He does great with most kids but is absolutely TERRIFIED of other people. He snapped at me this morning when on a walk and I tried to gently hold his mouth shut to tell him no barking at strangers. The breeder believes he was not well socialized.. we have brought him everywhere with us trying to get him used to people, new places/things/smells, etc. I don’t know what to do anymore. The breeder states she will replace him but I am worried this is something that can be corrected/grown out of but I am also worried this is just his personality. He also bites me A LOT and scolding him by putting him on his back or I’m his crate seems to do nothing at all and he goes back to it. Any advice would really help, thanks! 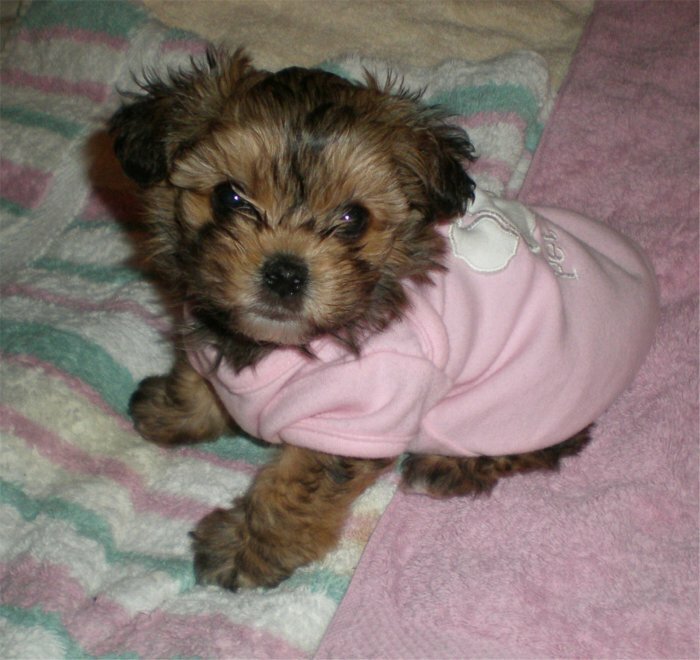 Desensitization is a possible way by which you can reduce your Yorkiepoo’s fear aggression. Start by breaking down the events that incite his aggression into their discrete components. Pair positive reinforcement like treats or praises with the trigger, slowly establishing an enjoyable association between them. 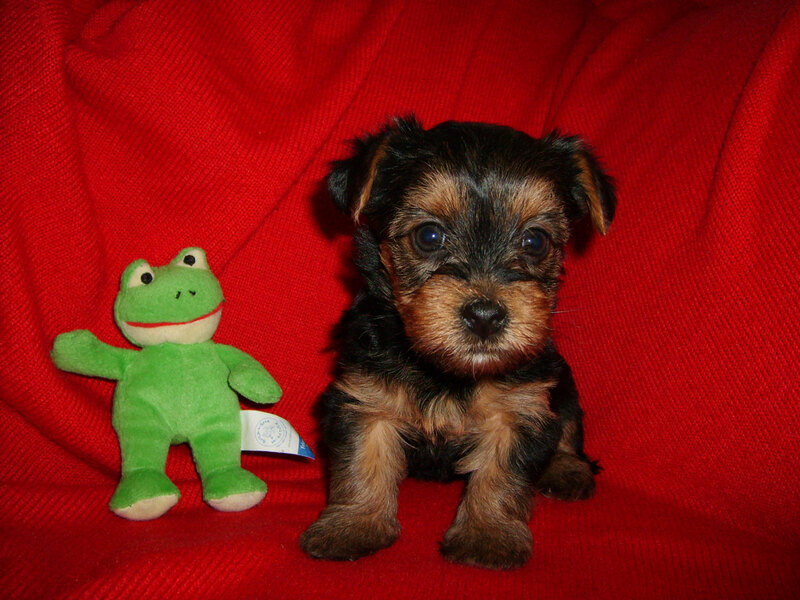 Meanwhile, manage your Yorkiepoo’s environment without pushing him too far. Remember that hostile body language, yelling, or physical correction will escalate your Yorkiepoo’s anxiety and aggression. Talk to your dog’s behaviorist for advice before beginning.